Sometimes there are one or two upright figures in a shot, dressed for ancient times or for the mid-18th century, framed diagonally against the walls—there are many—or placed somewhere in the countryside. Their voices, sharply differentiated and measured and lovely to listen to, compete with a crammed inventory of recurring sounds: birds and crickets, railcars and airplanes, afternoon traffic, the wind. (The mixing of two or more distinct historical soundscapes, antique and modern, “picked up” by the filmmakers’ indiscriminating microphones, is typical.) When the camera moves, it’s usually in the form of a slow left- or rightward inspection of a place that was once horrifically ruined by a sacrifice, military or mythic, but that seems impeccable to us now. The performers—they aren’t actors in the traditional sense; they can be working journalists or schoolteachers or opera singers—recite rather than act out their words, often with noteworthy precision and speed, and sometimes in a language that isn’t their own. There’s a neatness to their posture, evident in the way they sit at their keyboard or kitchen table, or in the way their arms hang at their side and their hands fold in their lap. (Everyone, it seems, has good etiquette.) Their words are drawn from sources that are canonical, or at least familiar: Sophocles, Brecht, Corneille, Pavese, Böll, Schoenberg, Mallarmé, Hölderlin, Kafka. In some cases, the text was left unfinished by the author. Among the major themes: the collective hoarding (and purging) of historical memory; the fate of pleasure in a world of punishing impersonal forces, which are either internalized and uncritically repeated, or else resisted at the cost of psychic stability and social acceptance; the changing quality of sunlight. These are no mere details. They are components of a very singular sensibility shared by two filmmakers responsible for some of the most forceful and lucid cinematic achievements of the past half-century. 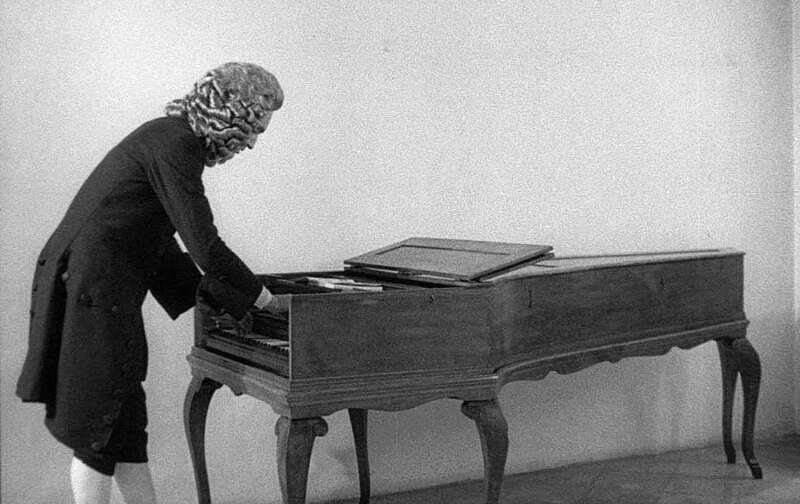 These conjoined artists, dubbed Straub-Huillet (for Jean-Marie Straub and Daniele Huillet), have been largely unknown to Anglophone audiences—their films either badly mischaracterized as strictly Marxist or Brechtian “texts,” model fare for the seminar room, or effectively suppressed into irrelevance by the craven prejudices of film distributors in this country—but the two are at last receiving their due: More than 30 shorts and features completed between 1962 and 2006 (the year of Huillet’s death), and nearly 20 directed by Straub—alone or in collaboration with Barbara Ulrich—since 2007, are all being screened through June at the Museum of Modern Art. Stockhausen was describing a quality that, if it wasn’t clear to audiences at Oberhausen in 1963, would become unmistakably so two years later, with the Berlin premiere of Not Reconciled: Only Violence Helps Where Violence Reigns. The oblique 50-minute adaptation of Böll’s 1958 novel Billiards at Half-Past Nine traces the continued psychic manifestations of Nazism across three generations of a middle-class family in Cologne, from 1910 to the postwar period. At the end of the Third Reich, and in protest against the war, architect Robert Fähmel demolishes the Abbey of St. Anthony, built by his father, the well-respected Heinrich, during World War I. Johanna, Heinrich’s wife, having once blasphemed against the kaiser, is sent to a sanatorium, where she remains for the next 16 years. Later, at the time of Heinrich’s 80th birthday, Robert’s son, also an architect, rejects a commission to rebuild the destroyed abbey after learning about his father’s ghastly wartime deed; and the sickly, aging Johanna, with Heinrich’s goading, fires a pistol (but misses) at a government minister during a military parade, shooting from a hotel balcony that opens onto the magnificent face of the Cathedral of St. Peter. The special achievement of Not Reconciled is its capricious jamming together of three periods of German history. What in any other film might serve to clarify the action—descriptive titles, observable changes in costume and decor, expository voice-over narration—is here almost totally upended. Information comes without the customary gadgetry of narrative filmmaking; the attitude toward time is (always) wonderfully, strangely agnostic. Thus the abrupt illogic of the first few minutes, in which two images 25 years apart are made to seem chronologically continuous: the extremely compacted opening shot of a middle-aged Robert leaning over a hotel billiards table (circa 1960), followed by a rounders game from his student years (circa 1935). The task of separating the time of Hitler from the time of Adenauer becomes unendurable, senseless, grotesque. The distinctive performances in these films result from careful, extended rehearsals, in which the actors’ many pauses, inflections, intonations, and exhalations were all thoroughly mapped and annotated, usually by Huillet, in a process that is radically de-psychologizing (Huillet: “We showed them how they could extinguish themselves”). Typically nonprofessionals, the actors often speak with accents, because, in Straub’s words, “a language comes back to life from the time that a foreigner must struggle against it to revive it.” One thinks of the precision and coolness of Bresson’s nonactors, although here the performances, for all their deliberateness, are astonishingly varied—whether the exalted, fitful outbursts of Antigone (1991); the moist buffo consonants of Sicilia! (1998); the beautifully differentiated singsong voices of Workers, Peasants (2001) and the short Every Revolution Is a Throw of the Dice (1977); or the frenetic declarations between a husband and wife in From Today Until Tomorrow (1996). No less distinctive is Straub-Huillet’s peculiar handling of space and visual information. One common strategy is to let a shot continue long after a character has left the frame, or long after the end of a conversation, as when Oedipus and Tiresias suddenly finish a lengthy discussion aboard an oxcart in the first half of From the Cloud to the Resistance (1978). In Antigone, characters are sometimes described just seconds before we see them onscreen, and in Lothringen! (1994), depopulated images of Metz are accompanied by a voice-over narrator who says things like “All those mattresses, linen, furniture, piled in heaps” and “There were crowds like in the streets of Paris,” which compel imaginative conjunctions between sound and image in a way that’s haunting and central to Straub-Huillet’s work. Griffith, arguably one of cinema’s great system builders, working in the time of the drawing-room drama and Spengler’s The Decline of the West, could take his version of realism for granted. With its obsessive, penitential clarification of dramatic and moral space, its grand old faith in “full,” intentional behavior, Griffith’s was a hopelessly belated and summarizing temperament, finding in all things the ideal setting for the bravura closing statement, for a rousing final act—and a Last Judgment. Straub-Huillet, if they are to have any connection to systems at all, might be a little like the young Joseph in Not Reconciled: horrified by his father’s destructiveness but appalled by the idea of reconstructing the rubble and, therefore, of changing the record. Working in a time of chance operations and land art (fantasy double feature: Robert Smithson’s Spiral Jetty and any of Straub-Huillet’s three landscape films from the 1970s), they’re the loving proprietors of a small but always well-tuned and well-examined collection of things. Nothing is ever final, in cinema as in history, since we’re able to continue to impute faces or motives or feelings to what seems inert and not in the least mysterious. It is worth noting in passing that none of the shots of the newspaper Balestrero is reading in the subway is expendable. Throughout his entire career, Hitchcock has never used an unnecessary shot…. In the newspaper, for instance, we are shown an automobile advertisement. We realize that Balestrero has a wife and two children because a young woman and two children are grouped round the car, making our unassuming hero smile. One is reminded of another newspaper sequence committed to film, in which the headlines are far more sinister than Hitchcock’s advertisement could ever be: “A military past imposes duties”; “Defense is a citizen’s duty”; “To re-arm is moral”; “Unanimous ‘yes’ to army.” In Machorka–Muff, we never get the reaction shot of “our unassuming hero,” but the smile is implied. Like so much else in Straub-Huillet, the film gives us an idea: Impish and subtle, unyielding and defiant, it’s a grimace that spites its own catastrophes—and maybe ours as well.